The 2013 Kenyan Premier League (known as the Tusker Premier League for sponsorship reasons) was the tenth season of the Kenyan Premier League since it began in 2003, marking a decade of its existence. It was also the Golden Jubilee season of top division football in Kenya since 1963. The most successful clubs in the league are A.F.C. Leopards (formerly Abaluhya FC) and Gor Mahia, who have both won the league title a record 13 times. 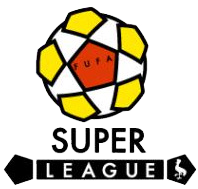 The Ugandan Super League is the top division of the Federation of Uganda Football Associations. The league can trace its roots back to 1968 when the National First Division League was established. Ligi Kuu Bara (Tanzanian Premier League) is the top division of the Football Association of Tanzania, it was created in 1965. The competition was simply known as national league and later First Division Soccer League until the name Premier league was adopted in 1997. Today the league consists of 14 teams playing a double round-robin. The champion qualifies for the CAF Champions League, the runner-up for the CAF Confederations Cup. The bottom three clubs are relegated to the first division. The Rwanda National Football League is the highest division in football in Rwanda. The league was formed in 1975. It was known as the Primus National Football League in 2004 and from 2009–10 to 2012–13, after which sponsorship was taken over by Turbo King. The Somalia A League is the top football division in Somalia. It was created in 1961.